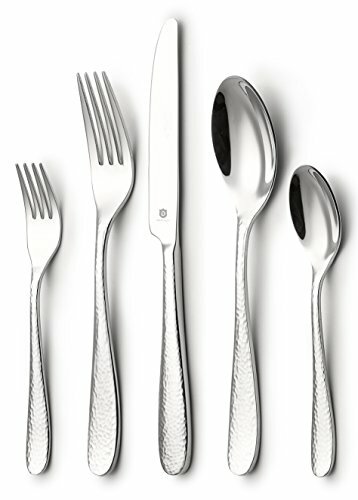 The high thickness and the beautiful hammered surface give a very good feeling when holding the flatware in hand. This design is available in Mirror Finish, Entirely 24K Gold and Rose Gold colors. Lifetime Limited Warranty on all the products of DANIALLI | MONEY BACK GUARANTEE - Your purchase is backed by our 100% REFUND PROMISE. If you are not absolutely happy with your purchase for any reason, simply send it back for a full refund or to get a new replacement. No questions asked! If you have any questions about this product by DANIALLI, contact us by completing and submitting the form below. If you are looking for a specif part number, please include it with your message.